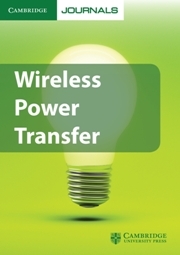 Launched in 2014, Wireless Power Transfer is the first journal dedicated to publishing original research and industrial developments relating to wireless power. The Journal pulls together research from across the field, covering aspects such as RF technology, near-field energy transfer, energy conversion and management, electromagnetic harvesting, novel materials and fabrication techniques, energy storage elements, and RFID-related electronics. WPT covers all methods of wireless power transfer and articles reflect the full diversity of applications for this technology, including mobile communications, medical implants, automotive technology, and spacecraft engineering.